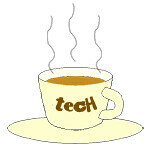 displays « Tech bytes for tea? The 27-inch MX279H and 23-inch MX239H displays feature a frameless design with a 178° wide-view angle Advanced-High Performance In-Plane Switching (AH-IPS) panel. The MX279H (S$519) will be available at SITEX 2012 while the MX239H (RRP TBA) will be available in Q1 2013. ASUS Designo MX Series AH-IPS frameless displays. For a home theater experience, the panels come with Bang & Olufsen ICEpower-derived dual 3W stereo speakers and ASUS SonicMaster technology. AH-IPS is the latest in IPS technology – delivering improved color accuracy along with increased energy efficiency. In addition, a 5ms response time also eliminates ghosting and tracers for more fluid visuals. The frameless design has a bezel thickness of only 0.8mm and are only 14.5mm (MX239H) and 17.5mm (MX279H) at their thinnest points. The LED-backlit AH-IPS panel has a 178° wide-view angle that minimizes color shift on both horizontal or vertical planes to ensure quality visuals from almost any viewing position. The Designo MX Series supports Full HD 1920 x 1080 resolutions and has dual HDMI and D-sub (VGA) input ports to ensure compatibility with a variety of multimedia devices including Blu-ray disc players, game consoles, and digital cameras to enrich users’ entertainment experience. In addition, a 5ms response time also eliminates ghosting and tracers for more fluid visuals. With the ASUS Smart Contrast Ratio (ASCR) of 80,000,000:1 and 250 cd/m² of brightness, the MX279H delivers life-like visuals by adjusting backlight luminance to achieve the darkest black and the brightest white shades. ASUS Splendid Video Intelligence Technology ensures vivid color, with six modes (Standard/ sRGB/ Scenery/ Theater/ Game/ Night) easily activated via a designated sensor touch hotkey. These Designo MX Series displays feature ASUS SonicMaster technology – which was co-developed by the ASUS Golden Ear team and Bang & Olufsen ICEpower. The Designo MX’s embedded ICEpower MobileSound 3 chip delivers audio fidelity to ensure quality audio. ASUS SonicMaster technology.